Hey everyone! Summer is in full swing. As most of my fans already know, I enjoy spending my weekends at my summer home in the Hamptons with my friends and family. This past weekend was one of my favorites so far! On Saturday, I went to my girlfriend Julie Makclowe’s luncheon. Julie is the creator of the amazing Vbeaute skincare line I am always raving about. Look out for her line, Vbeaute, on HSN in the fall. The luncheon was an intimate gathering of twenty-five women. Julie was showcasing the amazing dresses by Honor. The looks are so fresh and fun for summer. Here’s a photo of Julie (left), and I with two of the models and Julie in Honor designs. The 18th Annual Heart Ball , was Saturday evening. My dear friend Paola Bacchini was the Open Your Heart Chair, and organized the event. Boy did Paola out do herself!!! She raised the bar for everyone, and had a record number of attendees at the sold out event. Dr. Karl & Krista Krieger were the event’s Co-Chairs. Dr. Krieger is an esteemed surgeon who is very dear to my heart having operated on both my Father and Mother-in-law. The Vice Chairs, Jennifer and Glen Myles, are great friends on mine and I was honored to be seated at their table. 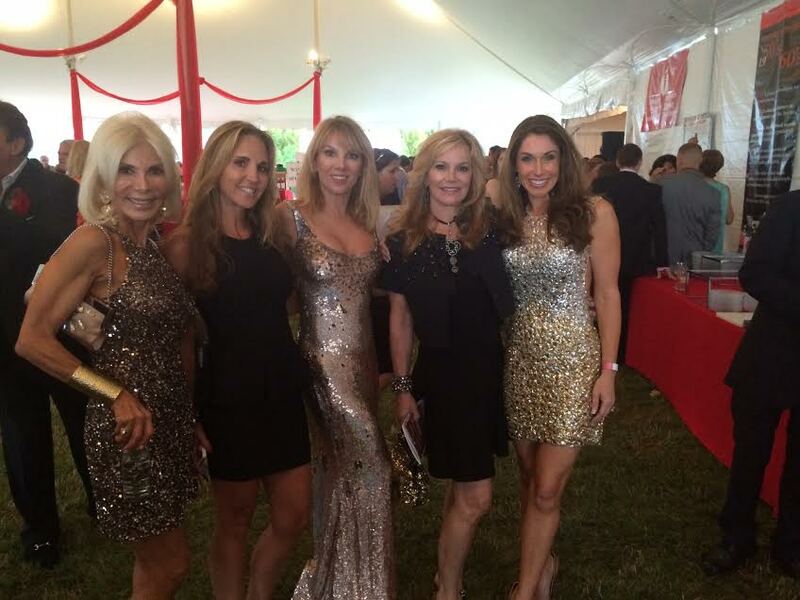 The event was such an amazing night and all the guests looked stunning in their 70’s sparkle and glitter attire. I had a fabulous time with my girlfriends dancing the night away. From left to right in the photo below is Andrea Warshaw Wernick, Andrea Correale, Marla Helene, and Melissa Bridges. Melissa is from Atlanta. She is newly married and always has the biggest smile on her face. My girlfriend’s and I are all self-made women. Andrea Warshaw Wernick is currently a life and style coach Fab over Fifty. Andrea Correale is the owner of the catering company Elegant Affairs, and catered the Heart Ball ! Marla Helene is an Art advisor and stylist, The Art Stylist. 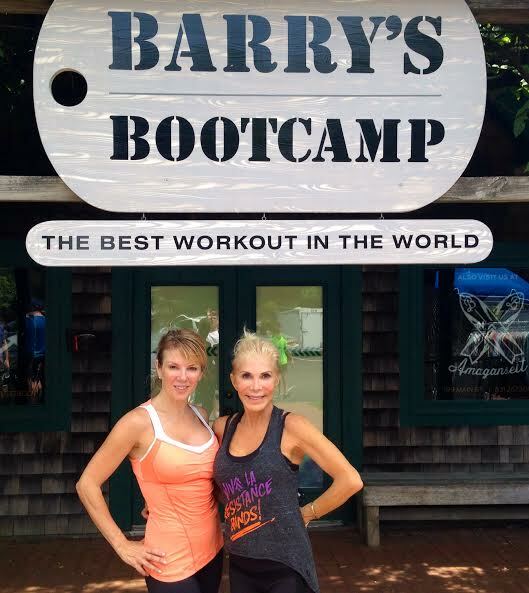 On Sunday I went to a Barry’s Boot Camp class with Andrea!! It was so challenging but I really enjoyed the energy of the instructor. They don’t say it’s “The most challenging workout in the world” for nothing!! After such a busy, fun-filled weekend there is honestly nothing better than laying by the pool for some R&R!!! Be sure to visit True Faith jewelry for any upcoming summer weddings and Guests R Us for special awards! !